Israeli cuisine, despite its strong Jewish roots, is not limited to kosher food. The Jewish diaspora, the immigrant population, and the exchange between neighboring countries have all played a role in shaping Israeli cuisine. Elements from Levant, Mediterranean, and former Soviet Union styles of cooking have made their way into the hearts and stomachs of the Israeli community. Kebabs have made their way into mainstream media as a quintessential Western Asia/Middle East dish. It is an umbrella term for grilled meat like mutton, chicken, or beef, and sometimes seafood, with additional ingredients like fruits and vegetables. They can be served with hummus, pita bread, and a salad. 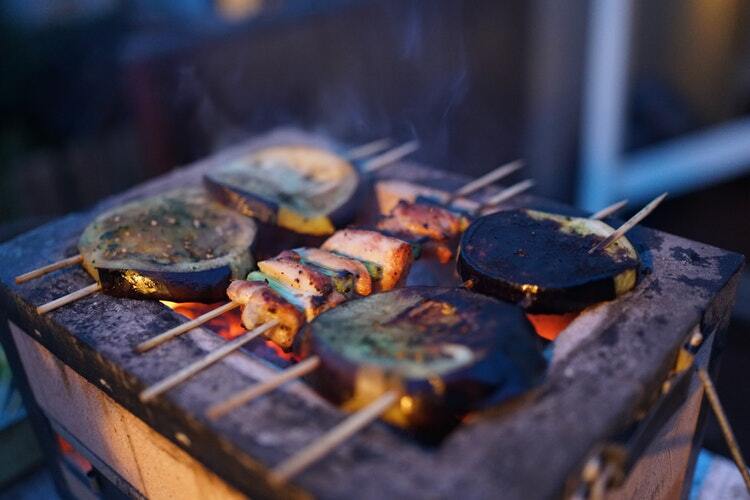 While more commonly depicted as meat on a skewer, there are variations of kebabs that do not have a stick. You can have kebabs every day and still find something new to try. If you are staying in a short term rental in Israel from www.koshack.com, be it Tel Aviv vacation rentals or a Jerusalem rental, you can try cooking this at home. After stocking up on spices at the open-air market, you can try your hand at cooking Israeli food. Making kebabs can be a great way to start. Falafels may look like a meatball, but they are a vegetarian dish made out of chickpeas or fava beans that have been deep fried. They are often accompanied with pita bread, hummus, and other vegetables. While you can easily make a meal out of it, it is commonly eaten as a snack. They are common and cheap. It could be the easiest thing to find while roaming the market streets. Shakshuka is a breakfast staple in Israel that can also be eaten for dinner. In Arabic, the name translates to “mixture” and when you see the dish, you can understand why. It is poached eggs with tomato sauce and spices that are all mixed. Other variations add meat, vegetable, and cheese depending on the location. It can be paired with pita bread and salad just like the falafel, a hearty dish that can help you get by while touring around the city. Baklava is a sweet pastry made from layers of filo dough with nuts like pistachio and walnuts. This dish can be found in many cuisines; what carried it over to Israel could be Turkish influences (since the Ottoman Empire did extend to the region) or by the Jews of the Balkan region. Regardless of how it came to the country, it is a favorite dessert you must try. Even if you have had baklava before, every country has their take on the dish. When you walk around the city keep an eye out for crowded establishments and select the dishes that spike your interest. There are so many more dishes to discover, especially since the country is close to Asia, Africa, and Europe.